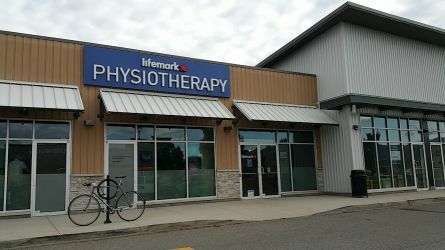 Lifemark Physiotherapy West Kelowna is centrally located in a new, fully accessible clinic. We offer ample free parking. 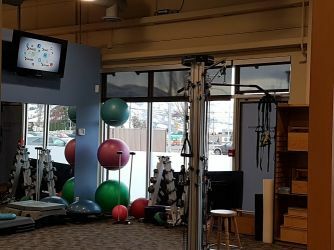 Formerly known as Pinnacle Physiotherapy, Lifemark Physiotherapy West Kelowna has an over 25+ year established track record of providing premium physiotherapy and rehabilitation for residents of the West Kelowna area. We have a long foundation in the community, and offer holistic and compassionate care to our clients, helping them to move and feel better. 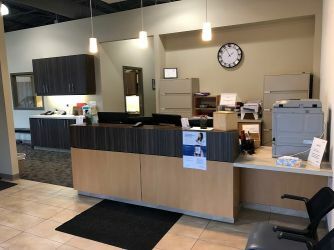 The West Kelowna physio clinic blends industry-leading technology, expertise and patient care with a warm, welcoming and always friendly environment. 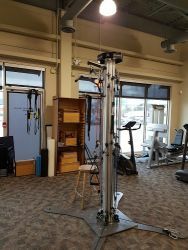 Our in-clinic exercise equipment includes stationary bikes, treadmill, a shuttle plyometric leg press system, free weights, cable machine, and various rehab equipment. 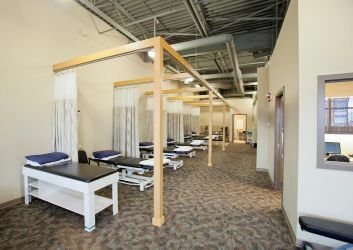 Our staff work as a team to help you reach your physio and rehab goals. 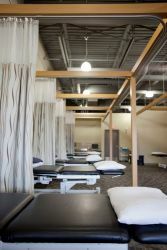 The Lifemark Physiotherapy West Kelowna team includes physiotherapists, registered massage therapists and kinesiologists. We treat a broad range of musculo-skeletal disorders resulting from work-related accidents, motor vehicle accidents, sports injuries and other sprains and strains. 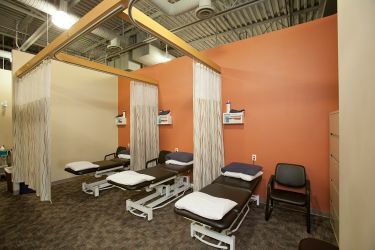 We have therapists trained in shockwave therapy, IMS, cervical and lumbar traction, and modalities such as interferential, ultrasound, TENS, electrical muscle stimulation. We are also excited to offer Blood Flow Restriction, a new technology allowing for the development of muscle strength at much lower loads on joints. Hydrotherapy - our kinesiologist offers hydrotherapy (aquatic therapy) at the local pool. Hydro or aquatic therapy has proven benefits for pain relief, weight-bearing after surgery or fractures, increased range of motion, strengthening and general conditioning. A variety of retail products including off-the-shelf knee, wrist, and ankle braces, hot and cold packs and TENS machines. Our clinic staff can help confirm your health insurance coverage. Your treatment may be partially or fully covered if you have extended health benefits, a worker’s compensation claim, or were injured in a motor vehicle accident. We are able to direct bill to most major extended health insurance companies.